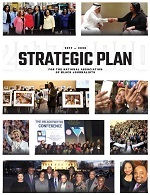 Washington, D.C. (April 7, 2011) – Today, the latest survey of journalists of color in newspaper and online newsrooms was released underscoring a widening diversity gap in terms of reflecting America, said officials of the National Association of Black Journalists. The results of ASNE’s annual diversity survey show journalists of color – and especially African American staffers - in newspaper and online newsrooms declined for the third year in a row, from 5,500 to 5,300, though overall, according to the survey of full-time journalists conducted since 1978. Especially hard hit are black journalists. ASNE noted that "there were 929 fewer black journalists in the 2010 survey than were recorded in 2001,” a drop off of 31.5 percent. The percentage of minorities in newsrooms totaled 12.79 percent, a decline of .47 percentage points from a year ago. Asian Americans dropped from 3.27 percent in 2010 to 3.10 in 2011; African Americans from 4.88 percent in 2010 to 4.68 in 2011; Hispanics from 4.63 percent in 2010 to 4.54 in 2011, and Native Americans constant at .48 percent. The census showed 441 newspapers had no minorities on their full-time staff. This number has been growing since 2006. ASNE noted that the decline in journalists of color contrasts with the news industry's stated goal of parity with the number of people of color in the general population by 2025, and as demographic changes show the nation heading toward majority-minority status. The U.S. Census shows that minorities are 36 percent of the U.S. population and that newsrooms are going in the opposite direction,” said ASNE President Milton Coleman of the Washington Post, an NABJ member. 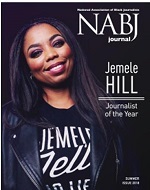 NABJ is encouraged that the American Society of News Editors is continuing its efforts to shine a light on this deficiency and to place its annual survey before the eyes of hiring managers. Newspapers showed a slim increase overall in newsroom employees, signaling what ASNE called a halt in a three-year exodus of journalists overall.